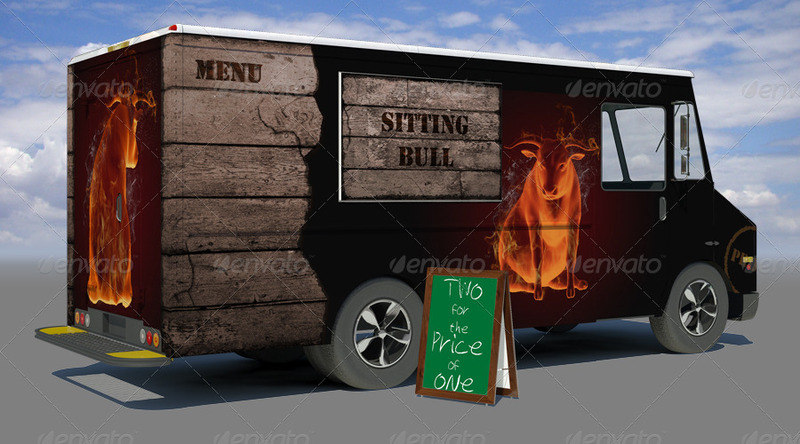 A food truck is almost like a billboard on wheels, it is an incredible opportunity to promote your business. So use this mock-up to plan your designs and preview them from all angles. It is easy to use. 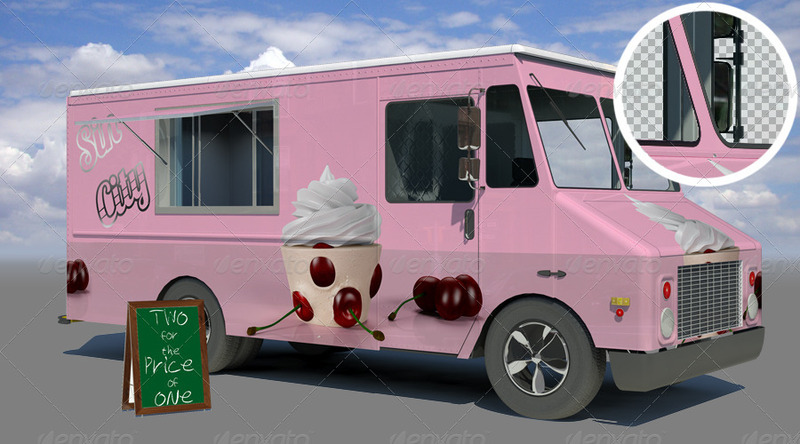 Simply copy and paste your image into the smart object placeholder and run a simple Action (comes with file) to wrap the design around the truck.